Many Illinois laboratory workers handle dangerous chemicals on the job. According to the Occupational Safety and Health Administration, more than 10 percent of workplace fatalities in the state in 2012 were linked to chemical exposure or contact. OSHA has developed a set of national chemical safety guidelines that are designed to shield workers from the effects of hazardous substances. These rules cover the details of lab safety, employee training, medical testing, and fair compensation in the event of accidental exposure. All personnel must know the exposure limits and toxicity of any hazardous materials they work with. All personnel must use sufficient protective equipment for their job. Laboratories must ensure that fume hoods and respirators are fully functioning at all times. 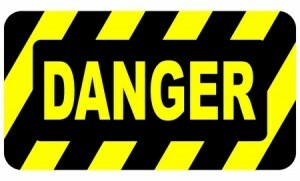 All dangerous substances must be identified with appropriate labels and hazard warnings. Every workplace accident must be promptly reported and investigated, and a detailed report must be filed after the incident. Employers in Illinois are required by state and national law to follow these chemical safety guidelines at all times. OSHA safety guidelines require employers to provide detailed information to all lab employees working with dangerous chemicals. Every employee who comes into contact with hazardous substances must be thoroughly trained in safety measures and given all the necessary protective equipment. Whenever workers begin a new or unfamiliar assignment in the lab, they must be retrained as necessary before starting the new task. Labs are required to test employees regularly for toxic chemical exposure, and lab workers have the right to know the results of these tests. According to OSHA regulations, every laboratory employee has the right to full compensation for chemical hazards on the job. Personnel who use dangerous chemicals must be given medical attention at no cost and no loss of pay. If a worker develops symptoms of chemical exposure, or if workplace monitoring shows an unsafe level of any hazardous chemical, the employer must provide a free medical examination and free follow-up care as necessary. Working in a laboratory can be a dangerous profession. If you work with hazardous chemicals, it is important to be aware of the risks you face and your employer’s obligation to protect you. Consider speaking with a workers’ compensation attorney to find out more about your rights as a lab employee in Illinois.